Annabel shouted and cursed Nadia sabay walk out. From the video you could hear the word "sinungaling", " baboy" etc. Nadia said that the main reason why her two children were crying is because Annabel Rama managed to belittle, yell and cursed and threatened to slap her in front of her kids, Fiscal Liezl Aquiatan- Morales and their lawyers during the clarificatory hearing of the child abuse and defamation complaints that she filed against Annabel Rama. 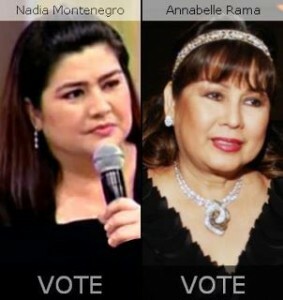 Annabel Rama on the other hand said that Nadia is an ingrate and a liar. In an interview by pep.ph, Annabelle Rama said she flared up when Nadia Montenegro allegedly lied in front of the fiscal. The clarificatory hearing is being held to iron out details about the case based on the complaint of Nadia Montenegro. The fiscal reviews facts material to the case to determine the merit of the complaint or lack thereof. 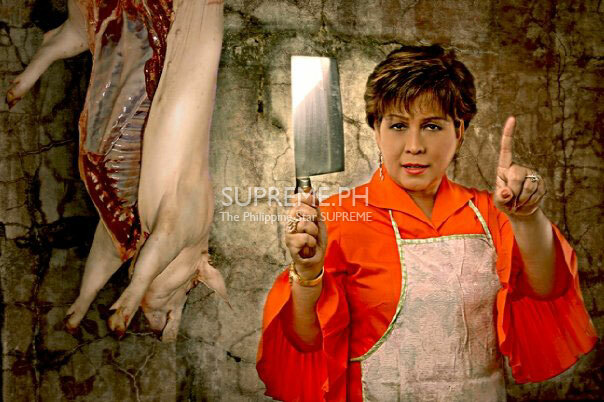 From the video you could see Annabelle Rama storming out of the clarificatory hearing. Interviewed by reporters outside of the fiscal’s office, Annabelle said: “Kasi sinungaling siya, e. Deny siya nang deny sa fiscal. Tapos parang dinidiin niya ako. Sabi ko, ‘Magsabi ka ng totoo sa fiscal, wag kang magsinungaling! “Sabi ko, ‘Bayaran mo ang utang mo sa akin!’ (Sabi niya) wala siyang utang. Kapal ng mukha niya! When asked how the incident would affect their case, Annabelle’s lawyer, Atty. Derrick Delegencia, said it is up to the fiscal to appreciate what transpired. They will be filing their counter-affidavit next week. I don't know either of them but I think we should be more respectful inside hearings. Just my two cents. Don't you think? No one is above the law. Sabagay if I am on the shoes of Annabel di ko rin alam baka ganun din and maging reaction ko lalo na allegedly sanay mangloko ng tao yun isa. See related article with video HERE!